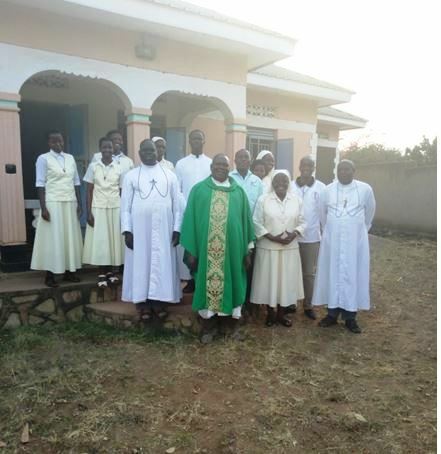 SUNDAY, JANUARY 27, 2019: Good news: Following ground works since May 10, 2018 and preceding paperworks, the Brothers of Christian Instruction of the Province of Saint Teresa of the child Jesus, opened a new mission in Nebbi Catholic Diocese, Uganda on Sunday, January 27, 2019 at 5:00 pm with Holy Mass celebrated in their new home, at Kasuku village, in the southern part of Nebbi Town. 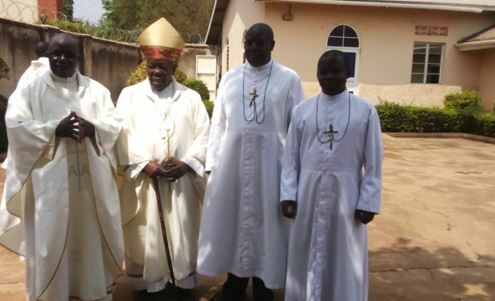 The Brothers of Christian Instruction will take over the administration and Management of Nebbi Town Secondary School. The pioneers of this mission are Bro. Angoako Albert (Director of the new community), Bro. Drapari Atandu Baifa Isaac (Headteacher of the new school) Bro. Mwebaze Ambrose (Teacher in the new school). 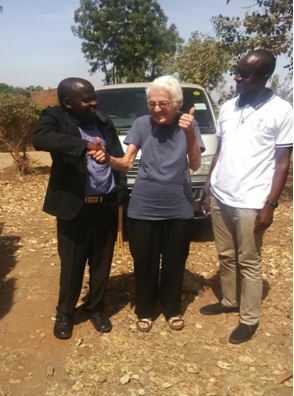 The Daughters of Providence of Nebbi Catholic Diocese welcomed their Brothers with the most fitting form of welcome by a well animated Eucharistic celebration. Their melodious voices brought down God’s choicest blessings upon the new house! 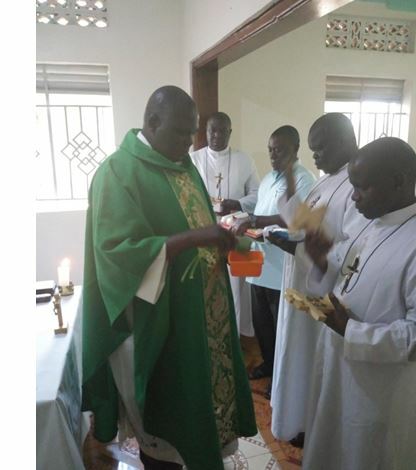 Rev.Father Emmanuel blesses the crucifixes and other religious articles to be used in the Brothers’ new house. 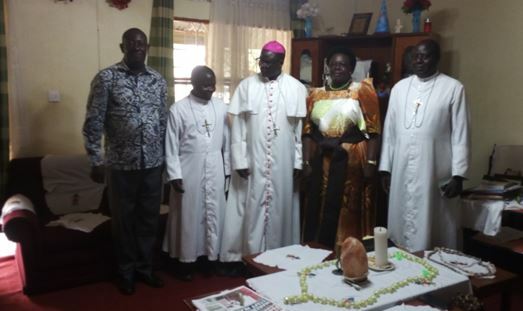 It was joyful but a sad time too for the Brothers of Christian Instruction that the one who invited them to Nebbi Catholic Diocese, leaves the diocese immediately after their arrival in the Diocese. Brother Isaac compared it with a baby whose mother dies just after being born and thereby becomes an orphan! However, by faith, hope and love, the Brothers accepted this event with one heart believing that their venerable Founders always intercede for them! From left to Right: Hon. MP. Hashim Suleiman, Bro. Isaac, Bishop S.L Wanok, Hon. Min. Freedom and Bro. Ambrose on Thursday, Feb. 7, 2019. Bishop Sanctus with the Brothers, and the Sisters after his farewell address to the religious and priests. The Daughters of the Providence of Saint-Brieuc accompany the Sisters of the Providence of Nebbi inspired by the charism of Jean-Marie de la Mennais. 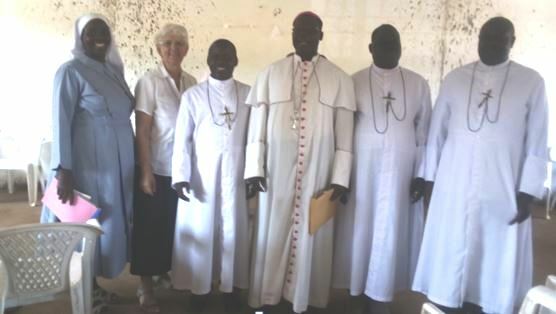 The Sisters from Canada at Nebbi – Sisters Emma, Louise and Céline – accompany for the formation. 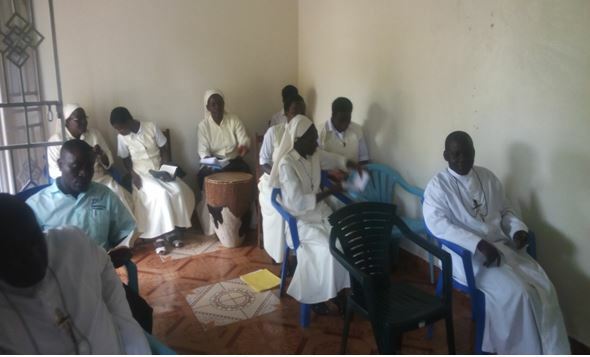 Two Sisters of Nebbi made their first vows in 2014 and a house of formation was built last year.